The transportation industry has a wide range, but sometimes it gets challenging to discover service that you needed in a particular area in Florida. Many different companies offer ground transportation from one city to another city like Express, greyhound, Florida Shuttle Transportation. 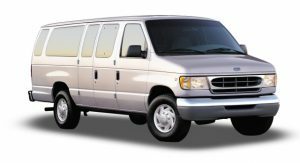 But Go Florida Shuttle most reliable, comfortable and inexpensive ground transportation services from one city to another city within Florida. In this article, you will read to know about shuttle transportation from Orlando to Naples in Florida. A trip from Orlando to Naples could be exciting because we had to go through some fantastic cities to approach our destination. Florida is a very well know traveler destination which gives all kinds of fun places to explore. Orlando is an ideal tourist destination because of its theme parks and hotels. Brevard County allows many unique and excellent sites for outdoor recreation and family vacations. There are so many places here where you can travel and enjoy with your whole family. Tampa, St. Petersburg, Bradenton, and Venice offer many tourist destinations. You can ease and enjoy the lovely and calm beaches of this area any time you want. Port Charlotte, Fort Myers, Cape Coral, and Bonita Springs are some of the major cities of Florida where visitors and tourists love to go during their vacation time. Then there is Bonita Springs which one of the most popular tourist destinations and then finally you go to Naples. Sometimes it is complicated to discover some ground transportation that can take you to all of these cities whenever you want. But there is a Go Florida Shuttle that you can book at any stage of your vacation. Family gatherings or individuals, in their view best transportation, is that which can take you wherever you require at any time you need. Go Florida Shuttle is such a transportation company that could make you from Orlando to Naples at most affordable rates at any time you want. Depending on the trip of your preference, there are different routes available. If you take the shuttle bus from Orlando to Naples, Orlando to Fort Myers or Orlando to Bonita Springs, you will be going to the West Coast. Therefore, the route will be the i75. Our Go Florida Shuttle and bus services can help you with any of your travel needs. Including our Orlando to Naples shuttle door to door and Miami airport to Orlando airport shuttle transfer.